If you are looking to host Thanksgiving in your home this year, it's always nice to create a beautiful table setting for guests to enjoy. But this doesn't have to be an expensive or time consuming process. 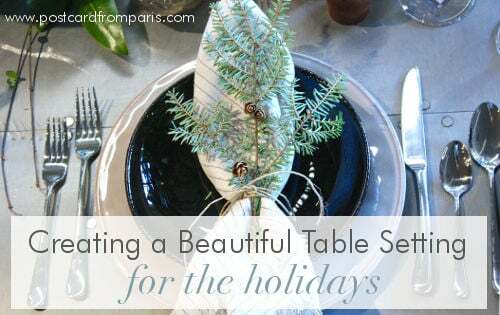 In many cases, using items from your backyard and existing accessories and placesettings is all you need to produce a fabulous table that guests will love. With fall in full swing, it's the perfect time to take the family on a hike through the mountains and appreciate the changing leaves. For those of you who want to bring a touch of the mountains into your home design, we thought we'd give you a look inside one of our favorite projects. 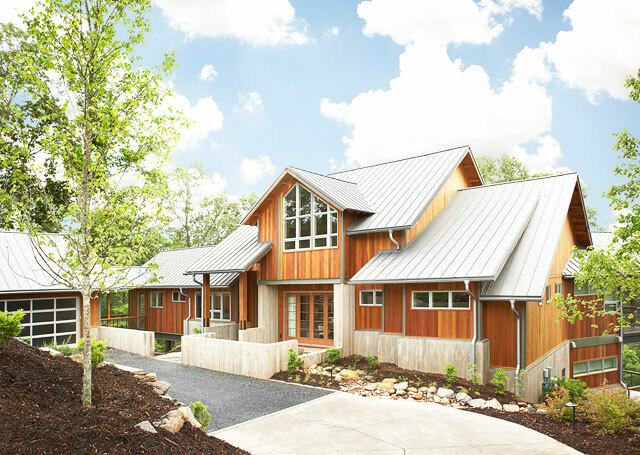 The home is situated in the heart of the Blue Ridge Mountains and was created with sustainable design practices in mind to protect and preserve the beautiful landscape and terrain surrounding the home. Including an office in your design can be an excellent way to enable you to get a little more work done at home. A great home office is a soothing place to catch up on correspondence, organize your family's bills, or simply read a newspaper. While our online boutique features many beautiful accessories, we thought it would be nice to gather some of our lesser known accessories that could make your home's masculine office stand out. 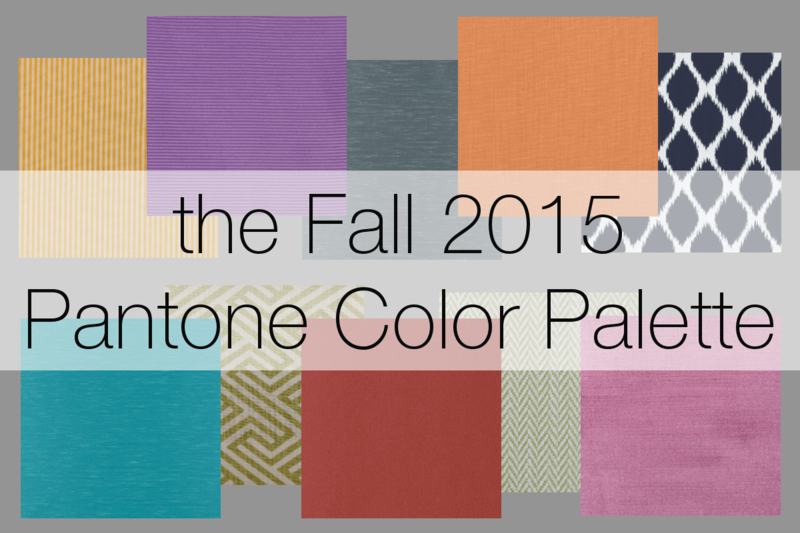 Fall has finally arrived and that means it's time to incorporate Pantone's new Fall 2015 color palette into your home. This season's selections include the color of the year, Marsala, and nine new fall colors to mix into your home decor and fashion this season. We thought we'd get you started by introducing you to the lineup and pulling a coordinating fabric that could evoke these colors if used in your home. Reading is an amazing way to relieve stress and strengthen the mind. But finding the perfect place to dig in to your favorite books can be a challenge for some. 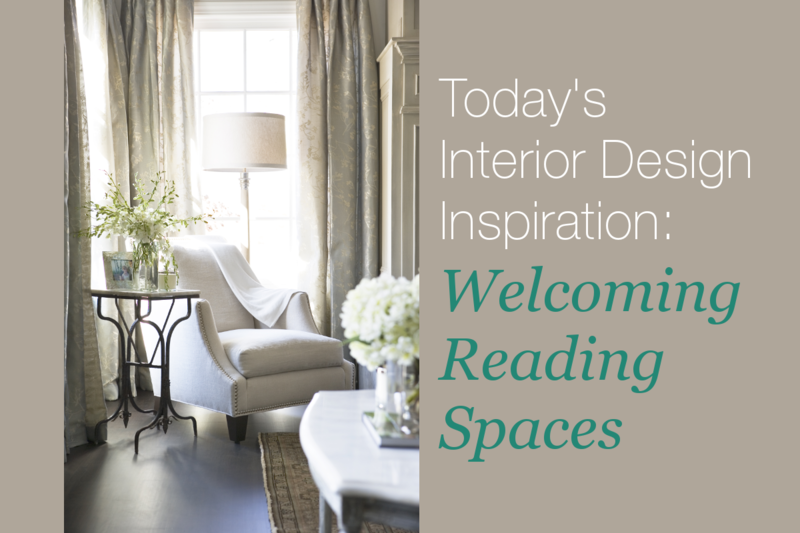 If you are an avid reader, you may want to consider incorporating a welcoming spot to read in your home's design. If you are looking to create such a place but are unsure of where to begin, an easy first step is to check out these spaces for inspiration. When you are designing your home, one major hiccup that can arise is experiencing a change in your design tastes. It could be that you've seen a home that you want to imitate. Maybe you realized your design centered around a trend that is going stale. Or, after working with your designer for so long, you've lost interest in safe design choices and have begun to love the look of your designer's more extreme tastes. Whatever may be the cause, you suddenly want your design to change and worry that the plans you have made will leave you with a home you won't love. If you run into this problem, there are many ways you can bring your design back in line with your tastes. 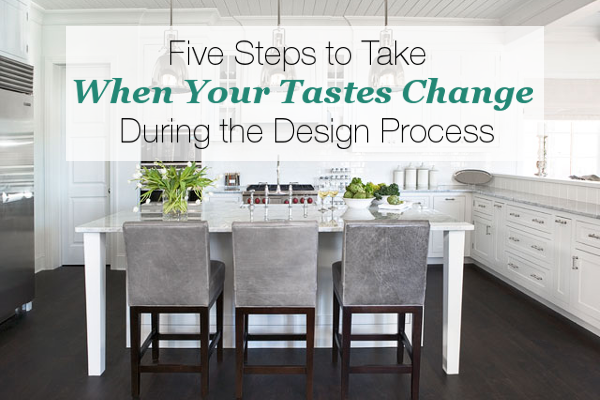 Here are five things to do if your tastes change during the design process. September is the best time to pick up some new fashion accessories for your fall wardrobe. A great statement piece can transform your look and effortlessly express your style. Our accessories from our Jewelry for Fall collection allow you to highlight your love of fashion. 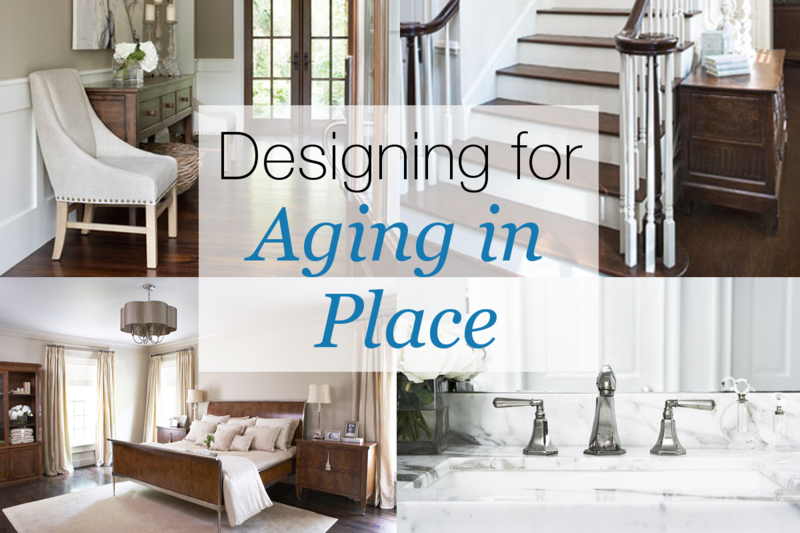 Aging in place, where you stay in your home and community as you grow older, can be made easier by implementing a few design concepts today. The following are some ideas to consider next time you redesign your space. Crown molding is a wonderful architectural element that enhances nearly every space. Sometimes understanding how to use crown molding in your space, what materials to use, and what color schemes would look best in your space can take some research. 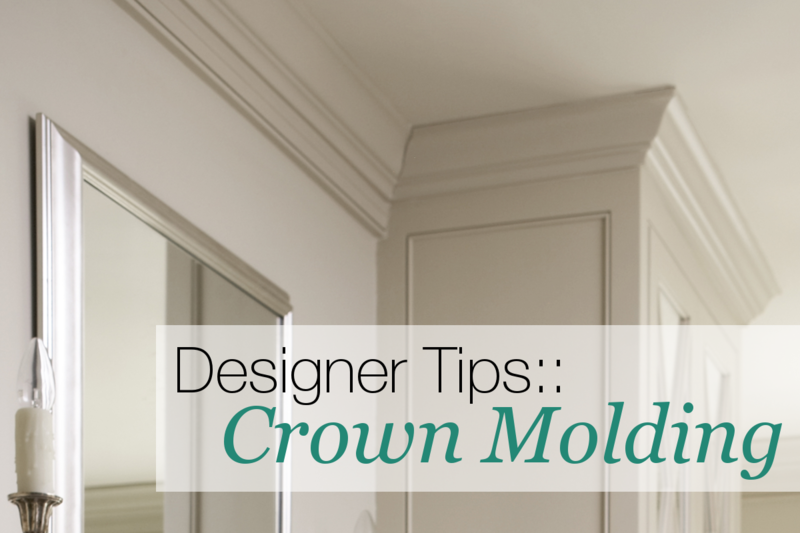 Here is a collection of tips to help you the next time you are considering adding crown molding to your home's design. Determining the best size rug for your space can be a strenuous process. 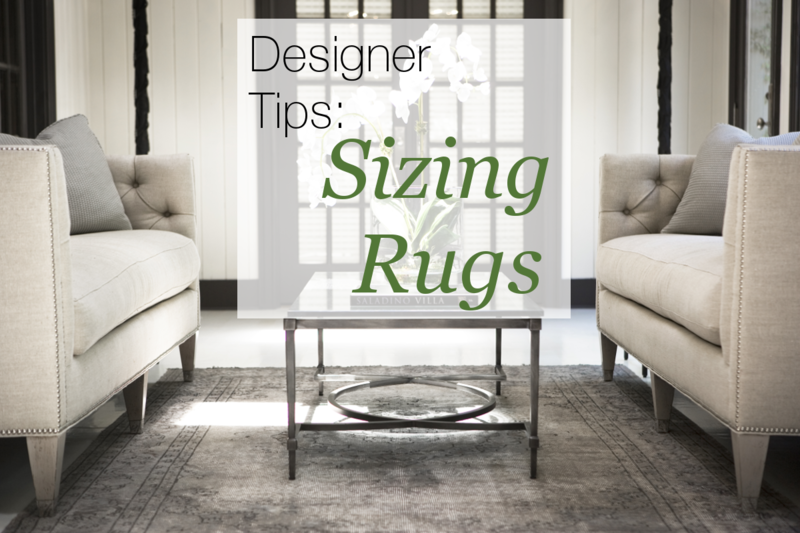 There are a few guidelines that could make your rug sizing experience a little easier. To help you out, we've gathered some of our favorite tips below.